To create these colorful hearts, you will need is a die-cutting machine and dies (or cut out hearts using the templates in the link below) and fun foam. 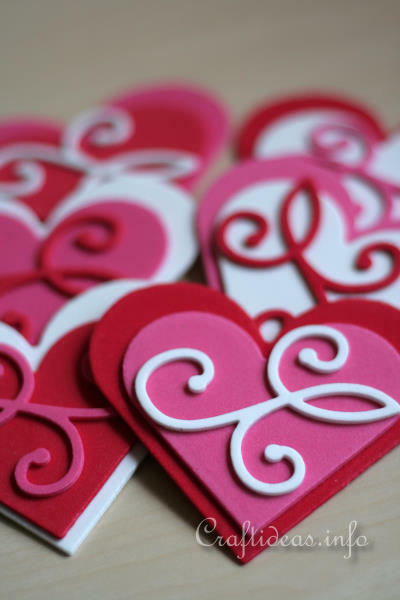 A die cut swirl adds an elegant touch to each heart. Use the hearts to decorate the table on Valentine’s Day, as embellishments on a Valentine’s card, as refrigerator magnets or you can also poke a hole through the top and use them as ornaments. 1. 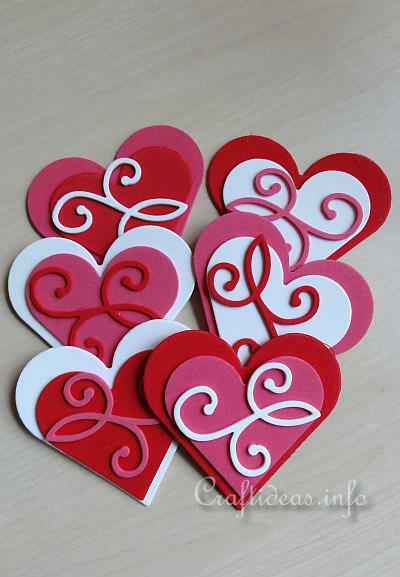 Die cut out two medium sized hearts in two different colors and glue the smaller one on top of the larger one, leaving about a 5-7 mm or 1/4 inch space at the bottom of the heart. 2. 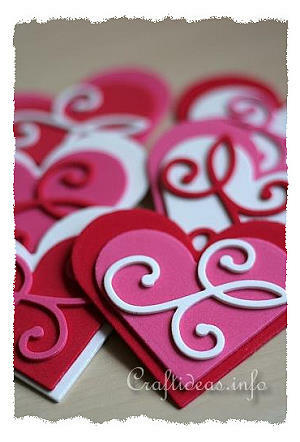 Die cut a swirl out of the third color and adhere it onto the top heart. 3. Use the hearts as you please. If using them for plant sticks, glue a wooden skewer on the back side of the heart. If using the hearts as refrigerator magnets, adhere a self-adhesive magnet to the back side of each heart. If hanging as an ornament, prick a small hole in the top center and insert a string loop for hanging. 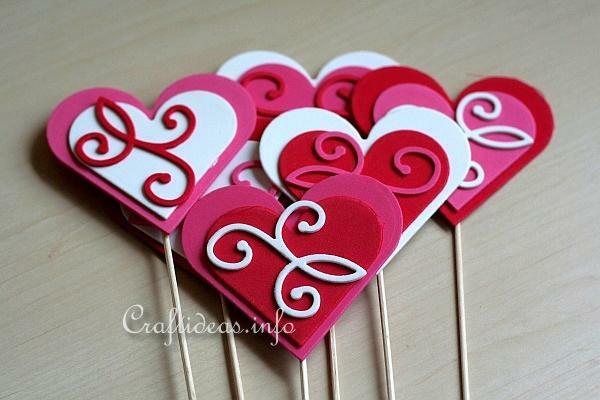 These hearts can also be used as plant sticks if you glue a shishkabob stick to the back of them.